New Hampshire is known as the Live Free or Die State because it is full of people who consider themselves to be libertarians. They believe that the government should be as small as possible and that people should be allowed to pursue their own dreams and business desires without too much regulation. Whatever you believe, you just need to know that is why the state has such an intense nickname. It’s also known as The Granite State because it has a lot of that mineral. The Old Man of the Mountain, which actually fell down a few years back, is made of the stuff and there are other iconic rock formations throughout the state. New Hampshire has some mountain ranges and it is one of the only New England states that is nearly completely landlocked except for a few miles of ocean coastline in the southeast portion of the state. One thing to note for New Hampshire home insurance is that like many other New England states Radon is a big problem. It’s neighbors Vermont and Maine have similar issues so it makes sense that NH does too. Around ⅓ of the people in the state have too much radon in their homes and this is a big problem because the gas is radioactive. It doesn’t have any scent or look to it, and it can cause lung cancer, so you definitely want to take care of the problem. Also, you will definitely need flood insurance because flooding is the number one cause for claims in the state. Keep in mind that most flood insurance does not come as part of most major Home insurance plans! Nashua is a NH city that has cheap home insurance. 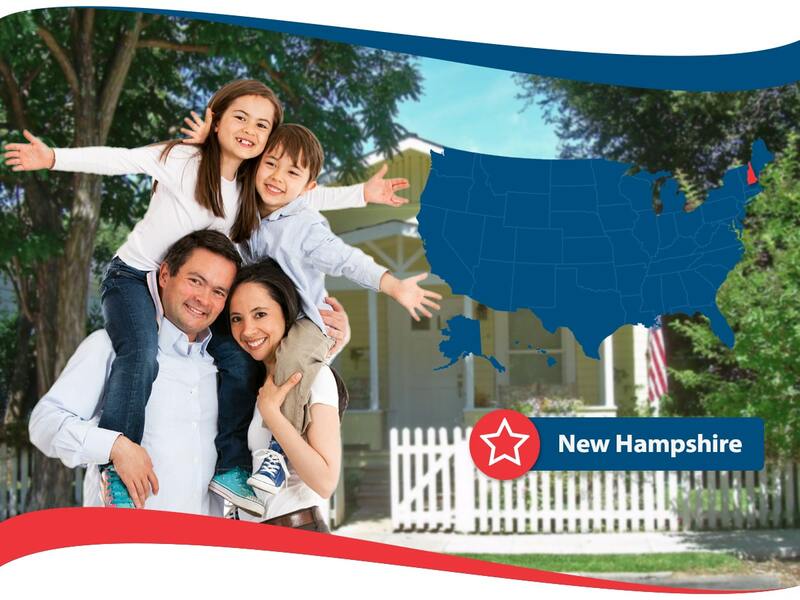 It is the second largest city in the state meaning that the benefit of cheap New Hampshire home insurance gets spread to about 90,000 people! Sure, they get about 55 inches of snow per year but besides that they don’t have too much inclement weather beyond what you would normally expect for New England. Manchester is another place with quite cheap home insurance in the state. It’s the largest city in the state with over 100,000 people living in it. This place gets lots of snow, some rain and plenty of freezing temps and hot days in the summer, but the weather isn’t so bad as to cause expensive home insurance rates. The most expensive place to get New Hampshire home insurance is definitely in the northern rural communities that might just be a few hundred or thousand residents. These places are often not serviced by their own fire departments or they may have a few dedicated volunteers. However, the difference between the cheapest and most expensive places is only a few hundred bucks. The range is from about $750 to around $950 so it’s not so bad even if you live in one of the more expensive spots like Jackson NH or Berlin NH. 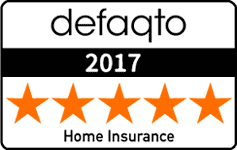 There are all sorts of companies that provide New Hampshire home insurance and you can try all of them to get a quote to see which one will provide you with the most affordable home insurance. Try Safeco, Patriot or Liberty and you’ll get three different prices. Of course it also depends on details of your home like how big it is and what features it has. Getting a bunch of quotes is a good idea wherever you live.